There are a few different methods that you can use to determine the weight of your horse. 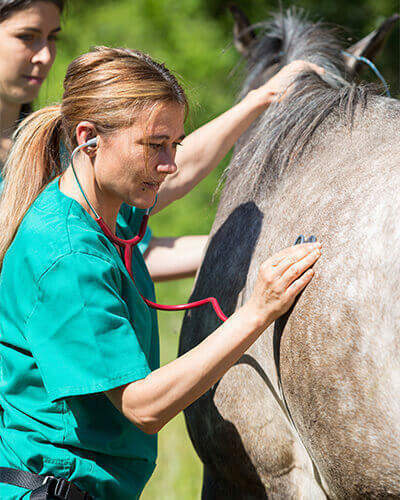 The most accurate is to weigh your horse on a scale; however, unless there is an equine veterinary clinic nearby that has a scale, this unfortunately is not an option for most horse owners. Equine weight tapes can also be used to obtain an approximate weight of your horse by measuring the heart girth (barrel), but be aware that they’re designed for the average horse in regards to size, shape and body type. This means that if your horse doesn’t fall into the average category of approximately 16 hands and 1,000 lbs., then you may need a more precise way to determine his weight. Horses that fall outside the average category include ponies, growing horses, large warmbloods or draft breeds. Conversely, weight tapes are an excellent way to measure and track weight changes in your horse. For horses that need their weight monitored, it’s best to record measurements monthly unless unusual weight gain or loss is noticed, then weekly, or even daily, measurements should be taken. When using a weight tape to monitor changes, consistency is key! Make sure to use the same weight tape and measure at least 3 times, taking the average, in the exact same spot every time. Hold the “zero” end of the weight tape and slide the weight tape over the horse’s back behind his withers.Grab the other end of the weight tape under his barrel where the girth normally goes and hold it snug (not tight) against the skin.You don’t want a thick winter coat to add unnecessary “pounds” to the results, but it shouldn’t be so tight that it’s uncomfortable for the horse. Pull the weight tape up to meet the other end with the “zero.”The number on the weight tape where the “zero” hits is the amount that your horse weighs. 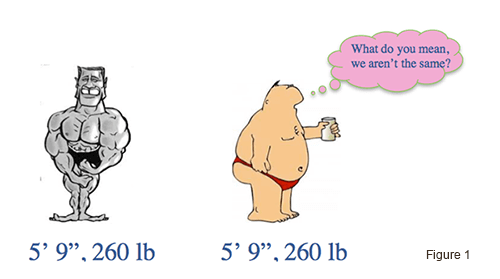 Another way to estimate your horse’s weight is simply by doing a little math. You will tend to get a more accurate weight by measuring both the body length and heart girth. Stand your horse up on a flat, even surface and measure his heart girth in inches as described above using a soft measuring tape. Next, measure his body length from the point of his shoulder, straight back along his side to the point of the buttock and plug the measurements into the formula below. There are different formulas if you are measuring younger, growing horses, so make sure you use the correct formula. Adult Horse: Heart Girth x Heart Girth x Body Length / 300 = Body Weight in lbs. Yearling: Heart Girth x Heart Girth x Body Length / 301 = Body Weight in lbs. Weanling: Heart Girth x Heart Girth x Body Length / 280 = Body Weight in lbs. Pony: Heart Girth x Heart Girth x Body Length / 299 = Body Weight in lbs. For example, if your horse measures 75 inches in the heart girth and 60 inches in body length, his body weight would be 1,125 lbs.